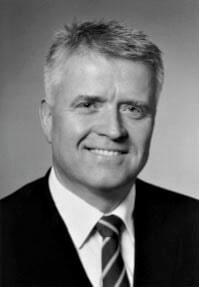 Partner at Green Park Partners and Chairman of the Board of Kongskilde Industries A/S. More than 25 years of consultancy and accounting experience focused on financial management, auditing and corporate acquisitions and disposals. Gert benefits also from widespread experience in a number of sectors including pharmaceuticals, retail, IT, banking and mortgage provision, insurance, beverages, private equity etc. Previously, Gert was a partner in PwC where he managed the Transaction Services Department from 2005-2010. The department specialised in financial due diligence and in particular the analysis, understanding and explanation of corporations’ operational and accounting structures. Prior to 2005, Gert provided accounting and consultancy services to a number of medium-sized and large Danish companies, including consultancy services focused on financial management and corporate acquisitions and disposals. From 2005 to 2010 Gert was also a member of the PwC Partner Affairs Committee which functions as the partnership’s supervisory board. Between 1993 and 1995, Gert worked for PwC Germany.